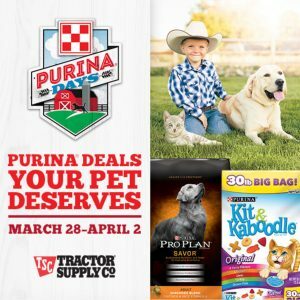 Purina Days at Tractor Supply Co is going on now! This means from March 28th to April 2nd you can take advantage of special in-store savings on your favorite Purina brands. Take advantage of this 5th annual event and pick up your pet’s favorite food, for prices you just can’t beat!